Author Derrick Barnes joins us to discuss his work, why it's important to have children's books with African-American characters, and why reading to your kids is one of the best things you can do for them. Author Derrick Barnes joins us to discuss his work, why it’s important to have children’s books with African-American characters, and why reading to your kids is one of the best things you can do for them. 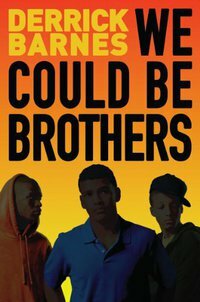 His latest book, We Could Be Brothers, follows two young African-American boys – one from a middle class family, one from the streets, who meet in detention and learn that they have more in common than they thought. He is also the author of the popular Ruby and the Booker Boys series.